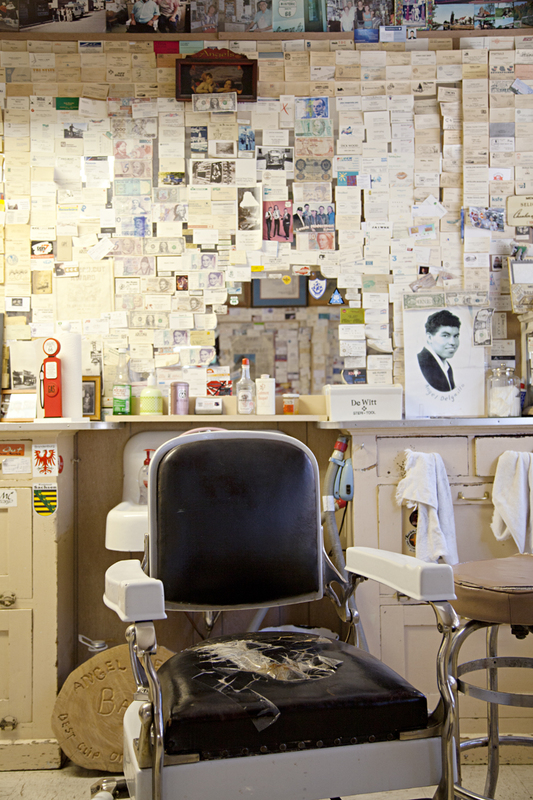 Just down the road from the Snowcap is Angel Delgadillo's old barbershop along Main Street / Route 66 in Seligman. Following on from his father, Angel opened his barbershop in 1950 and he continued to shave beards and cut hair until 1996. His barbershop is now somewhat of a museum and he and his wife Vilma run the gift shop (with a little help). The building's decor hasn't changed much over the years and is filled with Route 66 memorabilia and a lot of business cards from all over the world. 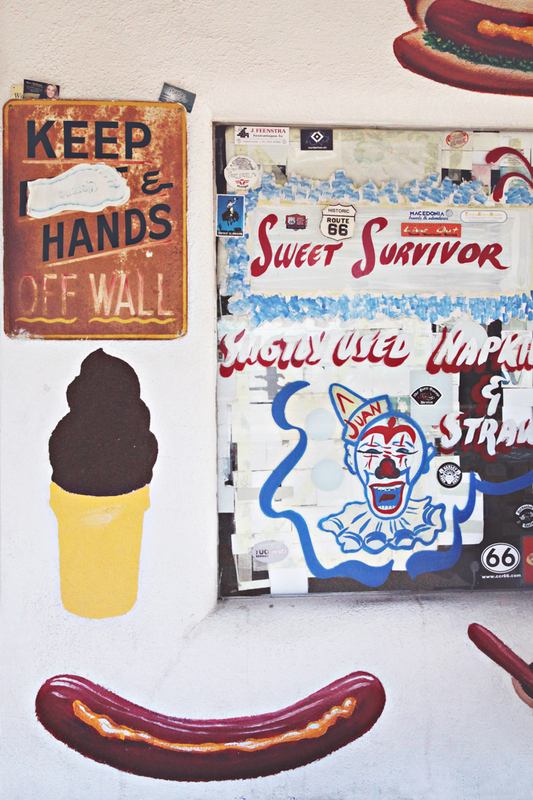 Next week I might rummage through some more images of other great signs and buildings around Seligman.